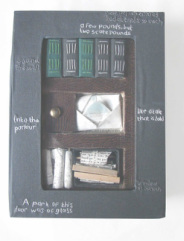 A college book arts project in which I altered an old copy of the Charles Dickens classic Old Curiosity Shop. 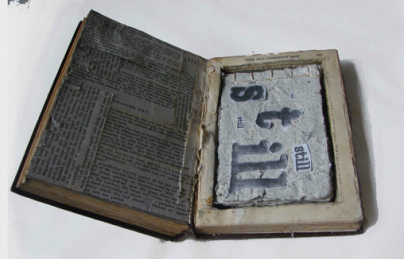 I had a spare copy, but it was still quite difficult to take a knife to the book. 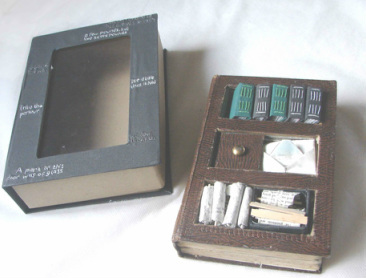 That might have inspired the book in the hidden compartment which reads "still part of me in the end". 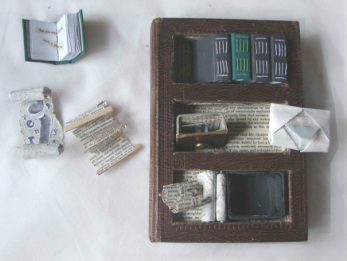 I cut the book up to look like shelves of a shop and used the cut out paper to make books to go on those shelves. 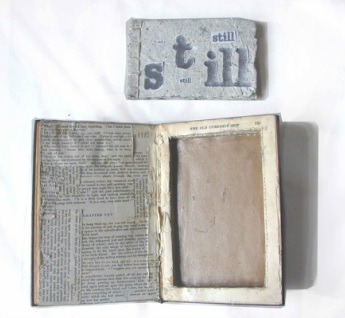 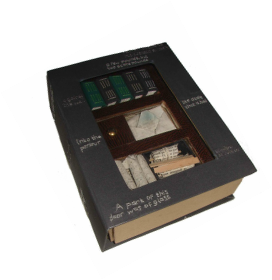 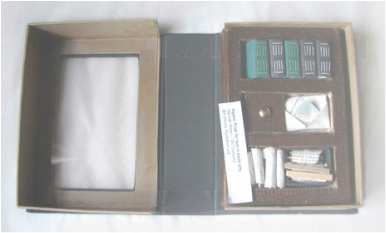 The case was designed with a window in the front to look like a shop, with phrases from the story embroidered into the book cloth to represent bricks. 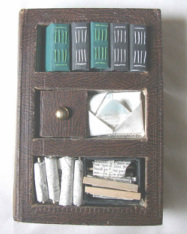 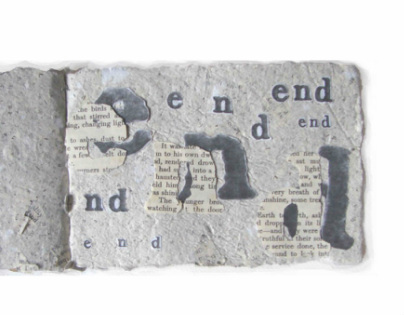 I entered the book into the Hereford book arts competition where it won the Agassi award for text in books.